The Scottish economy has shown growth for the eighth consecutive quarter. 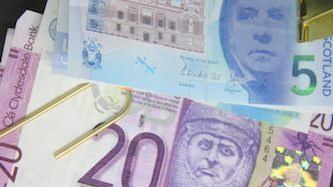 Latest gross domestic product (GDP) figures show the Scottish economy grew 0.3% in the fourth quarter of 2018, higher than the UK rate of 0.2%. Compared to the same period last year, it has grown by 1.3%. Economy Secretary Derek Mackay said: “With eight consecutive quarters of growth and record low unemployment — down to 3.4%, the lowest in the UK — Scotland’s economy continues to go from strength to strength. “Growing our economy and supporting businesses and jobs is a top priority for the Scottish Government. “All forms of exit will cost jobs, make people poorer, damage our society and undermine the democratic decision of the people of Scotland to remain in the EU.